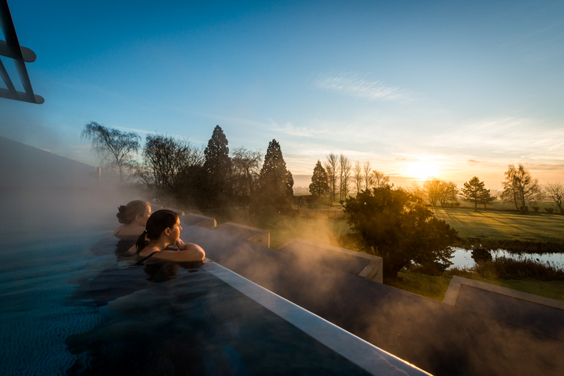 Ragdale Hall – Spa Review. 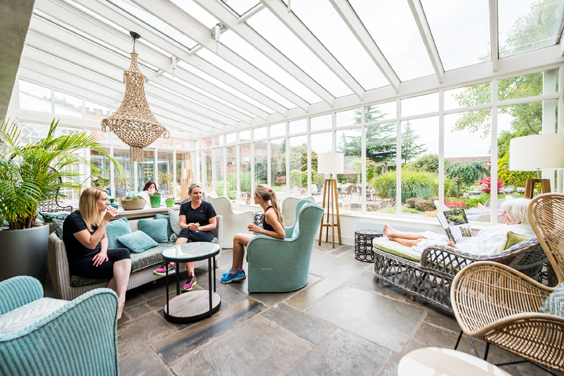 Helen Johnston retreats into an upmarket spa in rural Leicestershire to try out the treatments, food and all-new multi-million-pound Infinity Pool. Is this the ultimate escape from The Beast from the East? So there we were, in an outdoor pool. In February. In rural Leicestershire. And this on the day when the Beast from the East was lurking on the horizon, leading excitable forecasters to warn of bitingly cold winds, plunging temperatures and snow. It didn’t help that we passed an ice-covered pond as we made our way to the new roof top infinity pool at Ragdale Hall Spa, but at least the sun was shining. We braced ourselves, pushed through the plastic curtain into the icy air and… it was lovely. The water was a wonderfully warm 35C and as we lay back on the seating to be pummelled gently by the massage jets, the sun on our faces. Winter was banished. Far from doing our planned dash-in and dash-out again “just to say we tried it’, we lingered to enjoy the far-reaching views of the surrounding countryside, enjoying the chance to soak up some much-needed vitamin D.
The multi-million-pound infinity pool and lounge, and a redesigned exercise pool below, are the latest additions to the thermal spa, its potted plants and wicker seating providing an oasis of quiet calm. There are 12 heat and water experiences to choose from and on our spa day we found ourselves padding from the 60C dry heat of the scented room to the 80% humidity of the colour flow cave, before entering the silence of the candle pool. The scented room, as its name promised, smelt gorgeous thanks to aromatic herbs on a central stove. Gentle music played and we were transported back to last summer’s baking hot holiday on the Adriatic. It took us a little longer to acclimatise to the humidity of the colour flow cave, but once we had got used to breathing in the wet air, it proved to be just as relaxing. The candle pool is like a cave, electric candles flickering in the walls, and no talking allowed. The idea is to lie back and contemplate life, but we couldn’t get comfortable on the curved platform and ended up just contemplating if we had weirdly shaped bodies. No matter though, for it was time to head off to the treatment rooms for a massage. I opted for a face massage followed by a scalp massage, the latter something I’ve never had before. I was a bit dubious when the therapist said she would be using coconut butter in my hair – all that grease – but once she got started I couldn’t have cared less. Walking round afterwards looking like I hadn’t washed my hair for six months was definitely worth it considering how de-stressed I felt. The face massage included working on my tension-knotted shoulders and neck, and by the time the scalp massage was finished I could quite happily have fallen asleep. Ragdate Hall is situated in rolling countryside near Melton Mowbray and the original building dates back to 1785 when it was home to the Sixth Earl Ferrers, Robert Shirley. Its grandeur can be appreciated in the dining room, where we were able to help ourselves to a buffet offering everything from a Sunday dinner to salad. It felt a bit odd to be sitting down to a meal in posh surroundings, being attended to by smartly dressed waiting staff, while we were in bath robes and flip flops. But then again all the other diners were dressed the same, so it wasn’t as if we’d committed a style crime. And the whole place has such a chilled-out vibe that it soon seems normal to be padding around in your dressing gown in public. To end our spa day we enjoyed hot drinks and huge slices of cake in The Retreat tearoom, close to the treatments area and not far from the shops we had browsed. Ragdale Hall has gathered many awards over the years and it’s easy to see why. This is a luxurious escape from the real world, a place where everything smells lovely and the pace of life is slowed right down. It helps that the dreaded mobile phone can only be used in designated areas to make calls, so there’s no danger of hearing rings, bleeps or someone shouting into a mouthpiece that they haven’t got a signal. This is a place where you don’t just switch off your phone, but from the real world as well. The Beast from the East may have been threatening disruption outside, but inside all was calm. 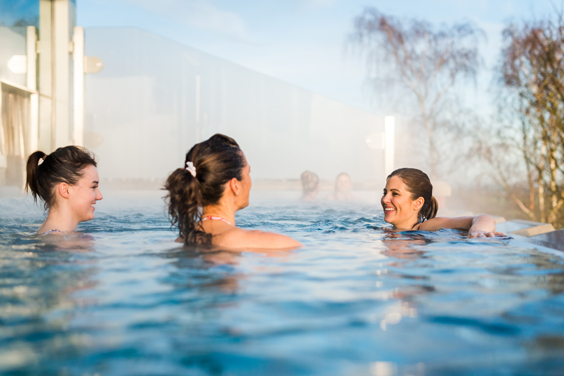 Two night midweek breaks from £342 per person including all meals, inclusive treatments and use of facilities, complimentary robe throughout your stay and Ragdale Hall flip flops. Two night weekend breaks from £404 per person. 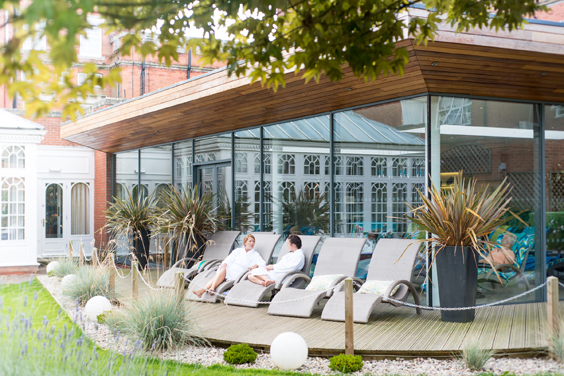 Spa Day packages from £60 – £242.